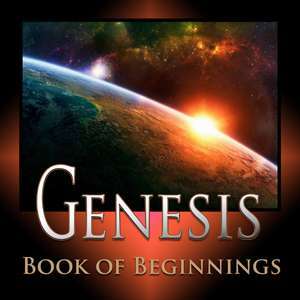 Genesis is the book of beginnings: the beginning of creation, man, sin, redemption, the divine institutions, covenants and much more. Almost every doctrine in the Scripture has its foundation in Genesis, which makes it crucial for every believer to understand this book. The first 11 chapters are the most attacked portion of all the Bible. This is because they form the foundation for Christian thinking - divine viewpoint thinking. If you want to properly orient to God's essence, His grace and think as Christ thinks, then Genesis is indispensable. Note that further development of the early Genesis material (i.e., Genesis 1–4) was taught in the 1st and 2nd Samuel series (lessons #136–145). Starting with lesson number 76, video DVDs of these lessons can be ordered from Dean Bible Ministries here or here. To view all video Bible studies in the Genesis series, click here.